The map to the right highlights the location of Washington State, which is bounded by the Canadian Province of British Columbia on the north and by the State of Oregon on the south. The State of Washington is bordered by Idaho on the east and by the Pacific Ocean on the west. Washington is the 20th largest state in the United States, with a land area of 66,544 square miles (172,349 square kilometers). The state is divided into 39 counties. This Washington map site features road maps, topographical maps, and relief maps of Washington. The detailed, scrollable road map displays Washington counties, cities, and towns as well as Interstate, U.S., and Washington state highways. The pannable, scalable Washington street map can be zoomed in to show local streets and detailed imagery. to view a scalable Washington state road map. The detailed Washington map and the regional Washington map display cities, roads, rivers, and lakes as well as terrain features. The detailed map shows only the State of Washington, while the regional map shows Washington and the surrounding region. Washington's capital city is Olympia. Seattle and Tacoma, along the Puget Sound shoreline, as well as Spokane in the east, are the state's most populous cities. In 2005, the population of Washington was estimated at 6,291,899, which is about 94.5 people per square mile. In 2010, Washington's population rose to 6,724,540 people. The state's Interstate Highways include I-5, I-82, and I-90. Washington was named in honor of George Washington. The Puget Sound region along the Pacific coast, the volcanic Cascade Range immediately to the east, and eastern Washington's Columbia Plateau are the state's primary geographical features. The coastal region supports a dense temperate rain forest while much of the inland region beyond the Cascades is a treeless, semiarid plain. Mount Rainier and Mount Saint Helens are examples of Washington's majestic scenery, while the Whitman Mission and Fort Vancouver National Historic Site draw history buffs. For Washington travel and tourism information, visit the official Washington tourism site and Washington Atlas. This Washington reference map shows major cities, roads, railroads, and physical features in Washington. 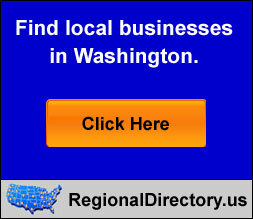 Several map publishing companies offer printed maps of Washington. For example, Omni Resources offers several maps of Washington that feature points of interest, airports, and parks, as well as selected local attractions and insets of major Washington cities. Washington-Map.org Editor, State Maps, PO Box 775, Barnegat, NJ 08005.